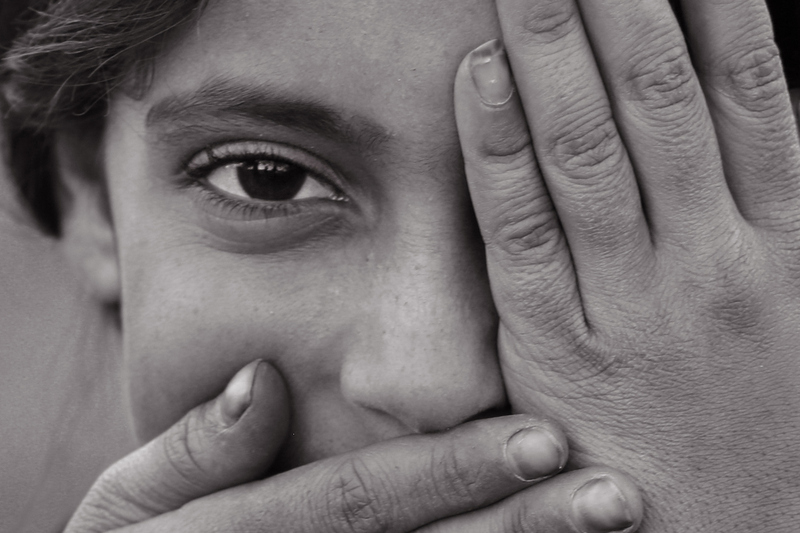 IMMIGRATION LAW FOCUS: Unaccompanied Immigrant Children in Need of a Volunteer Attorney – A Headline You Can Change! There are more than 31,000 cases currently pending before the Baltimore Immigration Court. Of those, several thousand involve unaccompanied immigrant children who arrive in Maryland each year and are automatically placed in removal proceedings. These are children who entered the U.S. without a parent, and were stopped or detained by immigration authorities. There is a special resettlement process for these children, in which the federal government is required to find a suitable person to give the child a safe home. (Children arriving with their parents, but forcibly separated from them, go through the same process as unaccompanied children.) Immigration advocates, both legal and non-legal, are working together to figure out how the needs for separated children differ from those of unaccompanied children. What is the one thing that all of these children have in common? They will be placed in removal proceedings, and they are going to need an attorney. Despite the reality that the decision in their case could have life or death consequences, the federal government does not provide an attorney for them. Most of these children have lawful claims to stay in the United States, but cannot afford to hire an attorney. So the children appear in court alone, without an advocate to help them make their case. The Maryland Immigrant Legal Assistance Project (MILAP) of the Pro Bono Resource Center of Maryland (PBRC) works with Maryland’s immigration legal services community to provide legal information to these children, and to find them representation. Each Tuesday, PBRC staff are present in the Baltimore Immigration Court, speaking to children in removal proceedings about what will happen when the Immigration Judge takes the bench. Children can also sign up to receive a free legal consultation about the immigration defenses that apply to their situations at one of PBRC’s brief advice clinics. This is where you come in. In just one day of volunteering, you can educate an immigrant child about the legal options for safely remaining in the U.S.
All of PBRC’s legal clinics are staffed by volunteer attorneys. At each immigration clinic, volunteer attorneys conduct comprehensive interviews of immigrants in removal proceedings, including children, to learn about their reasons for coming to the U.S. and their circumstances now that they are here. Then, with the help of attorney mentors, the volunteers provide brief legal advice to children or families about the legal defenses they can use when they have to return to the court. More than 80 percent of the children receiving services report that they learned for the first time at the clinic that they had options which would allow them to legally remain in the United States. PBRC also provides individualized information to the children about the best way to request legal assistance from the legal services organizations which provide representation for their particular kind of defense. Even with the knowledge that they are eligible to stay in the country, children cannot navigate the complex immigration legal system alone. After the clinic, PBRC follows up with the children and their families to see how the search for an attorney is going. Very few families have secured representation by the time of the first follow-up call. More families have received representation by the time of the second or third call, but some have stopped searching due to frustration and exhaustion, because the organizations they went to for help were unable to provide representation to them, primarily because there are not enough legal services staff to offer pro bono representation to everyone in removal proceedings. Even if each child or family could afford an attorney, there are simply not enough attorneys in Maryland whose primary practice includes deportation defense. This is where you come in – again. As a lawyer, you have the unique ability (and can learn the specialized skills) to represent one of these children or their families. Elizabeth Svoboda, writing for UC Berkeley’s Greater Good Magazine, asks us all to consider this question: “Imagine it’s five years from now and you’re looking back on what happened at the border and how you responded. What action would you be proud of having taken?” As a Maryland attorney, I want to look back, and know I stood with one of these children. What do you want? Training is available for attorneys who want to get involved with any of these activities. All of the trainings are offered for free in exchange for a commitment to volunteer at one of PBRC’s clinics or to accept one pro bono case for representation from one of MILAP’s partner legal services organizations. To learn more about this project, and to participate in recorded or live legal trainings, please visit www.probonomd.org/milap. Malpractice insurance, legal training, lists of volunteer interpreters, mentorship, and more are provided to all MILAP volunteers. Email Cate Hulme at chulme@probonomd.org with any questions. I’d love to tell you more! Cate Hulme is Manager of the Maryland Immigrant Legal Assistance Project at the Pro Bono Resource Center of Maryland.